Filling in Order form might be daunting, but still it’s not as time-taking and depressing as doing another essay when you actually want to go to bed. At Essay-Writer-Online.org order process has been made as quick and easy as possible. All you need to do is provide task specifications and pick a payment method. Experts of the service will take care of everything else. All in all, this is the most important step. Fill in applicable form fields, tell how many pages there have to be in your paper, how many reference sources used, what’s the deadline and academic level (school, college or university), and whether you need double-checking or not. Just as you choose a payment method and submit the order, a manager will call you up to verify the assignment. If everything’s fine, he’ll proceed to selecting the right man for the job with a relevant degree, knowledge background and working experience (where needed). Sometimes students might want to add something to their new papers, amend certain chapters, make corrections. 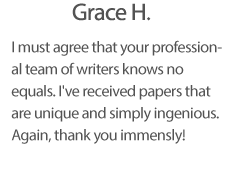 With this in mind, you’ll have two weeks of free revisions to assign, making sure the final manuscript does meet initial requirements to the full.